Dancing with Little Girls is the Best! Hello Hello Love, Daddy fans! Did you know that our Kickstarter launches on Wednesday?!?!?! 2 days and counting! Yup, that's right, you can finally get your panda on and order our book, so exciting and so close! "Dancing with my daughter is absolutely the BEST. Not only does she totally rock to the beat, she knows exactly what song she wants and when. She already has her "Pop Princess playlist" set on repeat and is hilarious when she asks for certain songs by name. Nowadays, it's "Shake Off," Daddy! "Shake Off!" (Taylor Swift is a definite house favorite) or "Happy! I want Happy!" My wife and I can't help but crack up every time. She has even started singing now, which cranks the awesomeness meter to a straight up 11 out of 10. Wanna know who rocks the party that rocks the party??? Look no further than our living room on any given weekend and be sure you bring your A-game, cuz we are seriously bringing it with the Milk Pong and Flip Sippy Cup." Obviously dancing little ladies are so much fun and the cutest! 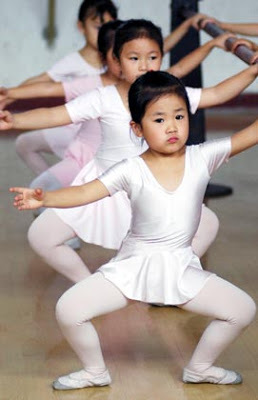 Here are some of our other favorite tiny dancers from around the web for you enjoy today! 3 year old Heaven and her mom dance together on The Ellen show! Twin baby girls start dancing when their dad plays guitar! And finally, a daddy and daughter dancing to Taylor Swift's "Shake it Off" ! 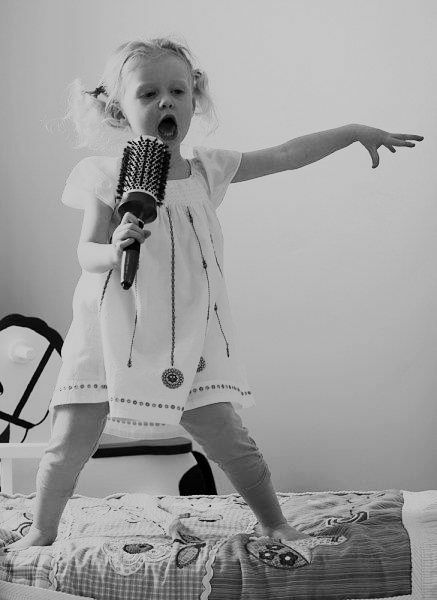 If you're a daddy, we'd love to hear - what do you and your daughter like to dance to? Have a great day! Want this hilarious panda shirt? You can buy it right here on Threadless! "Here is a pic of one of my favorite shirts that I own that I bought a few years ago from Threadless.com. I bought this before the book was even an idea. How about that? Talk about a panda premonition! This one is just in time for the start of the SUNSHINE and spring!!! Time to start working on my panda tan..."
We're all ready to start working on our panda tan - here's hoping for a warm and sunny week! Here are Mike's thoughts on one of the most momentous occasions in the first few years of having a child - when she starts walking! "My daughter did not start walking until she was almost 2 years old. For those of you parents that worry about the whole walking thing, well, don't worry because it will definitely happen. For us, the day came one Saturday morning when she just stood up and took off like Usain Bolt in a new pair of winged shoes. She must have run about twenty steps before sitting down at the other end of the living room laughing hysterically, almost like she was keeping this big secret the whole time. My wife and I cracked up too and breathed that collective sigh of relief. She was finally WALKING!!!! Well, now she just can't STOP. Thank goodness for baby-proofing and child safety gates! This ended up being the inspiration for the line in the book, "ZOOM, like a race car speeding down the hall," which I felt would make a great visual for the spread. Katherine has done a great job bringing this to life, and we can't wait for you to see the final result!" 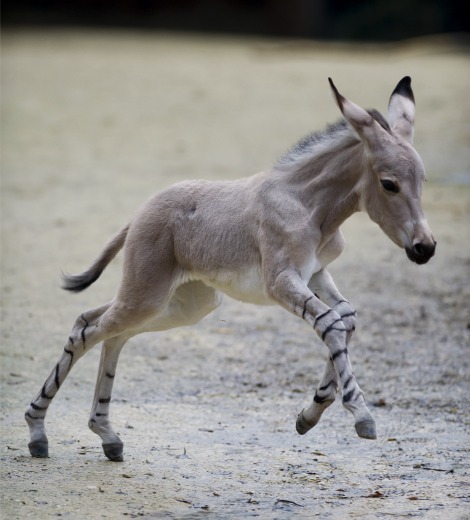 Of course now we have to show you obligatory, beyond adorable videos and pics of baby animals taking their first steps because it's just too cute for words to see anyone tiny learning how to walk on wobbly legs! Ahhhh too cute! And how about this gif of a little polar bear cub getting up on it's paws?!?! Images and GIF all found via Pinterest. BBC News found via Pinterest. Do you have any funny or sweet memories of when your children first started walking? Or even your pets? We'd love to hear about them! A few weeks ago when we posted about the world of pandas in high end fashion, we also came across some not so high end fashion involving our favorite black and white animals. 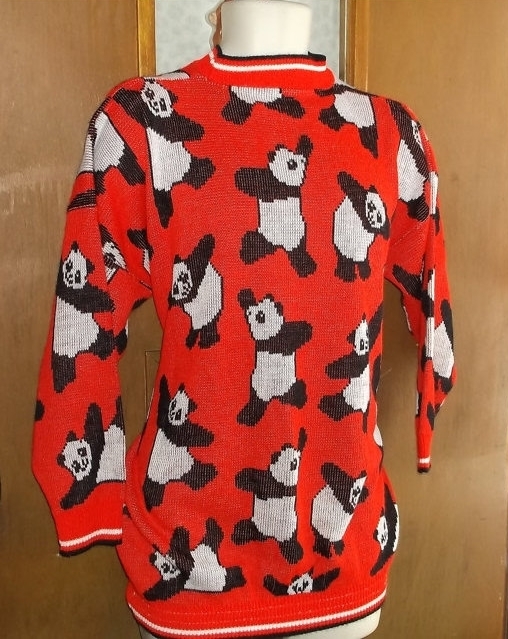 While looking around the internet, we realized there was actually quite a plethora of "ugly sweaters" with pandas on them! You know, the sweaters you wore in the 1980s and 1990s that had too many colors and competing designs, the ones you reserve solely for "ugly sweater" parties now? 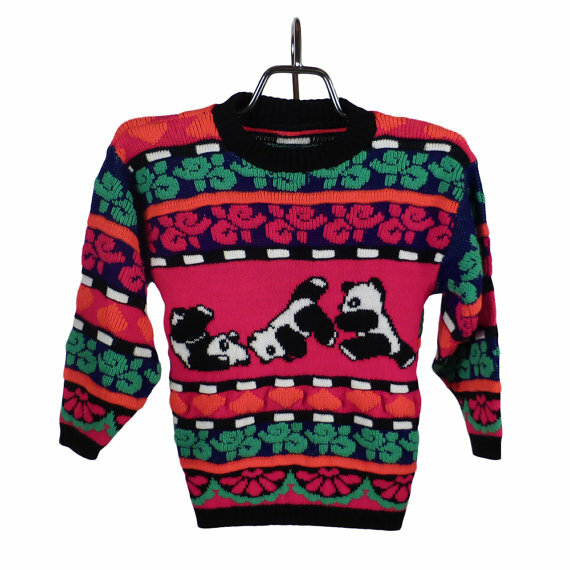 Well, turns out, back in the 80s and 90s, panda bears were quite popular on those crazy sweaters! The Love, Daddy team loves our pandas, but we're not sure that even we could rock some of these one of a kind gems out in public. That being said, they would certainly help you stand out from the crowd! Click the images to be redirected to the vendors for this amazing knitwear! And this was only the tip of the iceberg! 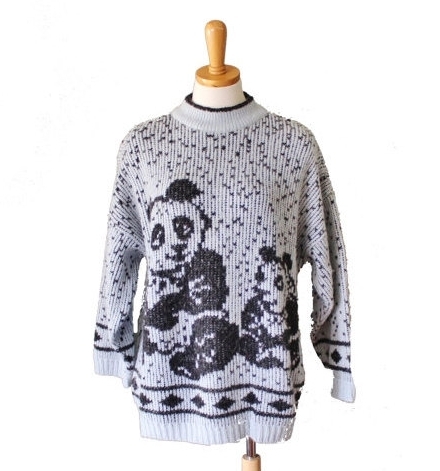 Now you know - when in need, there are PLENTY, or should we say a plethora, of vintage panda sweaters to go around. Our interesting tidbit from the world wide web in regards to pandas for the day, enjoy! Any ugly sweater stories out there you'd like to share? A cute story from Mike the author on a sweet exchange between him and his daughter... Kids say the darndest things. "The other day, when I was cutting onions, my daughter came up to me and gave me this huge hug on the leg and said "Daddy, don't be sad." Honestly, I don't know how many of the tears were actually from that onion." Have a great day, don't cut too many onions! One of Mike the author's favorite books of all time is Oh, the Thinks You Can Think by the late, great Dr. Seuss. Have you read it? Check it out here! Did anyone see how he rhymed just there? Very Seussian indeed. Between the rhyming and the illustrations, oh man was Theodore Geisel (his real name - did you know that?) a genius! Apparently (according to Wikipedia), Dr. Seuss's Green Eggs and Ham is the fourth best-selling English-language children's book of all time. Wow! Books to Empower Little Girls! The Love, Daddy team is very proud that our book focuses on a strong and loving relationship between a father and daughter. We know how important it is to raise smart, kind little girls in today's world, and how tough that can be with what's often portrayed in the media. Here's a link to 12 Empowering Children's Books To Add To Little Girls' Bookshelves - it includes some classics and old favorites, like Matilda by Roald Dahl, and Madeline by Ludwig Bemelmans, but also some new ones like The Princess Knight by Cornelia Funke we hadn't heard of that tell stories about interesting, creative and brave little girls following their dreams. Until Love, Daddy is available for purchase (so soon, only 1 month until our Kickstarter begins, join our mailing list to stay in touch! ), we encourage those of you with little girls in your life to check out these books and show them all the awesome ways they can grow up to be fantastic women. Any other books that didn't make this list you love for your little ones? We'd love to hear about them! Who knew pandas were so fashionable? In Love, Daddy the book, you can look forward to seeing our little panda bear wearing dresses, shorts, bathing suits, tennis outfits and lots more cute and fun ensembles. We've so enjoyed creating different looks for our panda bear's every occasion! 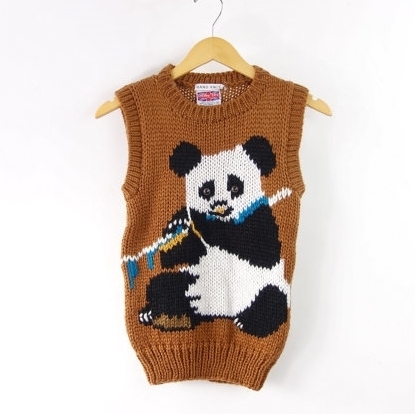 But who knew pandas were so popular with real people fashion? We saw this image in the New York Times style section a few weeks ago during New York Fashion Week, and couldn't help but smile... - a fancy red coat covered in pandas! Image pulled from NYT NYFW 2015 fashion video, image by Bill Cunningham. 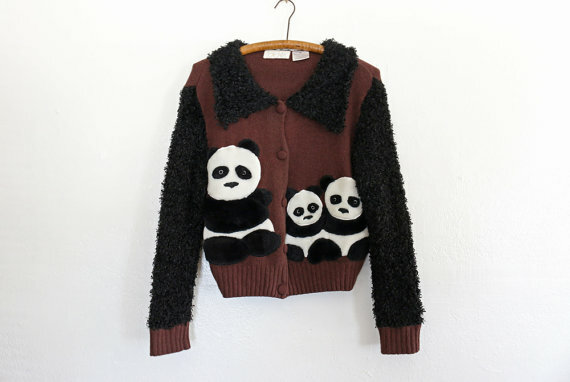 After seeing this we did a quick search for "panda fashion" and low and behold, panda high fashion is quite popular! There was even a runway show by Chinese fashion designer Wang Yutao for Mercedes-Benz China Fashion week in the fall that featured a whole collection of panda patterned outfits for brand BeautyBerry! Wow - panda mania! Wang Yutao for BeautyBerry, Mercedez-Benz China Fashion Week Fall 2014/15. Images found on gbtimes here - click to see the whole collection! Do you own any panda inspired clothing? If so, we'd love to hear about it! Ah, The Little Prince, what a fabulous and imaginative story of what it means to be human. Have you read it? "The Little Prince, first published in 1943, is a novella and the most famous work of the French aristocrat, writer, poet and pioneering aviator Antoine de Saint-Exupéry. The novella is both the most-read and most-translated book in the French language, and was voted the best book of the 20th century in France. Translated into more than 250 languages and dialects (as well as braille), selling nearly two million copies annually with sales totaling over 140 million copies worldwide, it has become one of the best-selling books ever published. "This is one of my favorite quotes from The Little Prince. I think there is a part in all of us that never wants to "grow up." But the hard part is not growing up, it is remembering." Working on Love, Daddy has helped all of us find our inner child - spending the day brainstorming about panda bears with pink bows and the magical world they inhabit reminds us how important it is, at any age, to stay creative and use your imagination! Do something creative and silly today, no matter how old you are! "It perfectly captures the silliness of childhood as a counterpoint to the "normal" everyday stresses we feel as adults. I often wondered what kind of father I would be. And whether I would win any weird face contests." It's amazing what an impact comics and books - both the art and the words - can have on us as children, and what we remember as adults. Do you have a favorite comic strip or children's book from childhood, or today? And if you're a Dad, is there a Dad out there in cartoon land you identity with? One Calvin and Hobbes strip is never enough - here's a blog that posts one C&H comic every day from the archives, and a rare interview with cartoonist Bill Watterson himself. We'd love to hear, happy Thursday from the Love, Daddy team!